he scene: a farmer’s market. It could be a cold morning in late September, or an unusually mild January afternoon. I can only tell you what the sky looks like: steel gray, thick with clouds that don’t seem to move in spite of the whipping winds. Time freezes in the face of such chill, and I ache for bright colors and home-cooked food. The best home-cooked food needs really good produce. And so I’ve bundled up and gone out in search of great veggies. At first glance the produce never seems too varied at this time of year. With a few exceptions, the raw fruits and vegetables lack the flamboyant hues and intense aromas of spring and summer months. But something about the crisp open air heightens the colors of the fall and winter wares I see huddled in the farmers’ stalls. This color, I quickly realize, comes from the rich possibilities of my imagination. Here are the greens, a plural suggesting not just a multitude of leaves pulled together, but the many shades of green that almost glow when viewed against the backdrop of a dull gray parking lot. This is a rainbow of green. I hesitate only briefly over the light green of late lettuces (a delicate salad is just not what I want right now). Instead I am drawn to the blackish green, leathery fronds of kale, the deep emerald of chard, and the bright ruffles of mustard greens. I want the warm, soft chew of cooked greens wilted in soup or sautéed with bacon fat or olive oil and garlic. In the chard and kale I find some of the comfort and nourishment that I crave during these months of scant sunshine. I cram two bunches of each into my bag. he root crops, of course, are in their prime now. Standing in front of their dusty paleness, I hear faint echoes of a time when roots were what people valued. Just as people put down roots in their communities, they stored vegetable roots in their cool cellars. 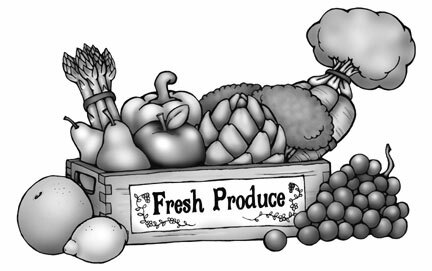 Both meanings evoke the reassuring sturdiness that these vegetables seem to represent. Even their names, well, they’re straight out of Laura Ingalls Wilder’s Little House on the Prairie: parsnips, rutabagas, and turnips (in the book, Laura’s little sister Carrie ate turnips raw, but I prefer them roasted). Potatoes and carrots are more familiar, and are easily sautéed, or baked or roasted into sweet, steamy softness any time of the year. But if I do anything more complicated—make fritters out of them, for example, or put them in a stew—it’s in the winter. The cooking takes so long, but I like the stove’s extra heat. Beets stain my fingers as I pick them up and inspect them for damage or excess mud. The leaves should be fresh, as if they were still growing. This is soup at the source, the blood of borscht: leaves and all will go right into the pot. Yes, I will have some of these, please, and some extras, please, to roast in an oven for sweetness. I think idly of how much more there is to beets than the canned cafeteria chunks or mouth-puckering pickles most people have experienced. At the next stall, a farmer tumbles out a heap of winter squashes, their thick skins thudding against the thin countertop. That skin resists all but the sharpest of cleavers. But I can’t begrudge them that toughness: it is from their tough skins that I will scrape the squashes’ sweet, melting flesh after it’s been baked in the oven. A thinner skin would tear under my eager spoon. Across from the knife-sharpening van, the mushroom seller shyly arranges his plain brown bags. He comes out strongest during fall and winter, as if he too waits for the damp season to show his best offerings. The rest of the year he puts out portabellos, criminis, clumps of dusky white mushrooms: nothing that you couldn’t get in any decent grocery store. But come the first week of winter drizzle, the selection is more intriguing: chanterelles, hedgehog mushrooms, and a few precious porcini. The dirt clings to the stems, a whiff of the forest, a stamp of origin, to be brushed away carefully before adding the mushrooms to soups or risottos, or just dumping them into a saucepan of butter. Fruit is limited during these months, but never absent. On the worst days, I can still find boxes of dried fruit, unsulfured and brown. Apricots, apples, prunes, figs, and local fruits, all dried in the sun. And it only takes a bit of moisture to reverse the alchemy, to release their summer sweetness into compotes, stews, or steaming pots of couscous. On good days there are late-harvest apples, remnants of an age before hybridization left us with perfect-looking (but sadly tasteless) fruit. These apples are not uniformly anything; some barely look enough alike to belong to the same species. They all have the feel of times past. Some are gnarled and scabbed, others are tiny and fragrant: lady apples, they call them, from back when the word lady was complimentary. There are persimmons too, glossy orange and hard, waiting for time and the kitchen table to soften them for puddings, cookies, or cakes. Later in winter will come the first slender stalks of rhubarb, the tart, herby smell calling up the taste of pie or crumble. MARINA WOLF writes about food and other interesting subjects for newspapers and magazines around the country. Her motto: Curiosity may have killed the cat, but it does wonders for the cook. You can contact Marina at fullsun@sonic.net.